Zero Day is a fascinating and highly relevant thriller with invigorating elements of realism. T. L. Williams’s Zero Day is a complex, smart, and timely drama about virtual warfare. Within the thriller, China uses hacking to attack the United States. As all-American CIA officer Logan Alexander knows, the stakes are high; hackers could destroy America’s economy, effectively making China the new economic superpower and the richest country in the world. 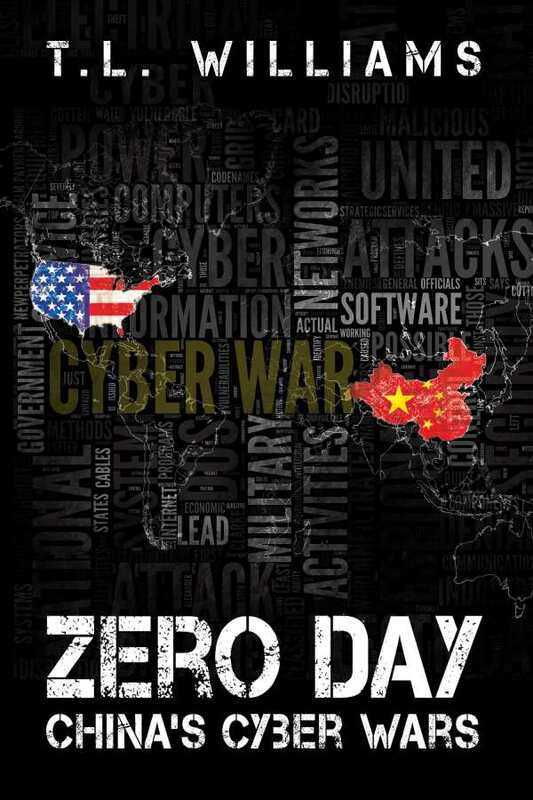 Logan, with the help of a mole attempting to avenge his father and a skilled team of agents and hackers, struggles to prevent “Zero Day,” the day China will execute its plan to cripple the United States. The plot is impressive, tight, and developed. Details, from Logan’s cover story to the ins and outs of hacking, demonstrate thoughtfulness and extensive research. Complex technical aspects of the spy work always feel believable, and with chapters that often end on exciting cliffhangers, this book is hard to put down. A jaded FBI agent, Des Magarity is delightfully angry and pitifully funny as he attempts to keep up with a technologically savvy and more youthful fellow officer. Beautiful depictions of settings break up the technical plot to wonderful effect, with the busy streets of China and gloomy night scenes setting the tense mood of the story and offering insights into the culture. Detail-oriented realism around the attacks and the technical intricacies of hacking enhances the intensity of the book. Despite this excitement, the work’s tone is sometimes impersonal, and its many details are occasionally mundane or awkwardly placed. While the book is fictional, the story of a foreign superpower with rocky relations to the United States hacking it for confidential information and sticking its hand in American affairs feels almost too real, making this story all the more gripping.